Game 3 was a great opportunity for the Royals to almost solidify the series in their favor. Two young stud pitchers in Noah Syndegard and Yordano Ventura took the bump in a electric CitiField. On the first pitch of the game, Alcides Escobar, notoriously known for swinging at first pitch fastballs, had to hit the deck after Syndegard threw some high heat at Escobar's head in which the Royals were obviously unhappy. The scoring started in the top of the 1st on a Hosmer fielder choice during an attempted double play to end the inning, but in the bottom of the inning Met captain David Wright answered back quickly with a huge 2-run homerun to left. In the top of the 2nd, Perez reached with a broken bat single, Gordon was walked, and Rios delivered with an RBI single to tie the game, but Gordon was thrown out at 3rd. Rios would eventually score on a pass ball to give the Royals the lead. After a surprising Syndegard single, Granderson hit a hanging curveball into the rightfeld seats to take the lead 4-3 in the bottom of the 3rd. 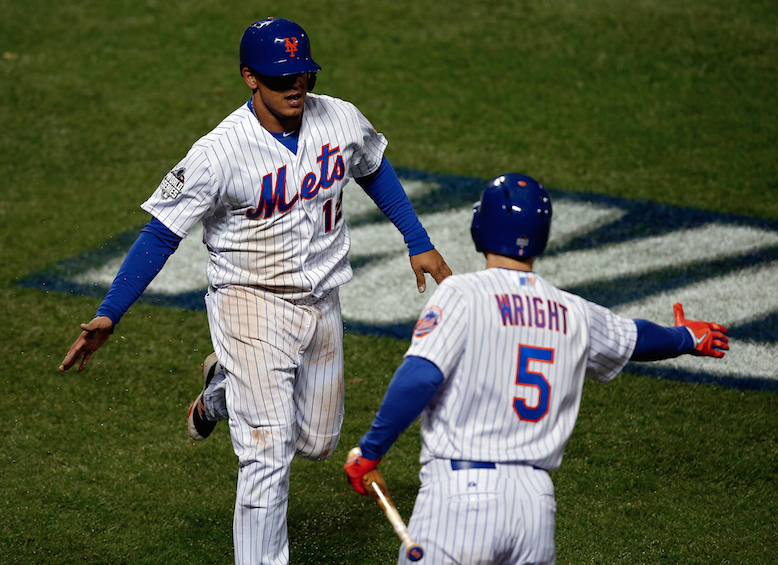 After that the Mets never looked back and with a few Royals blunders they were able to hold on rather easily. 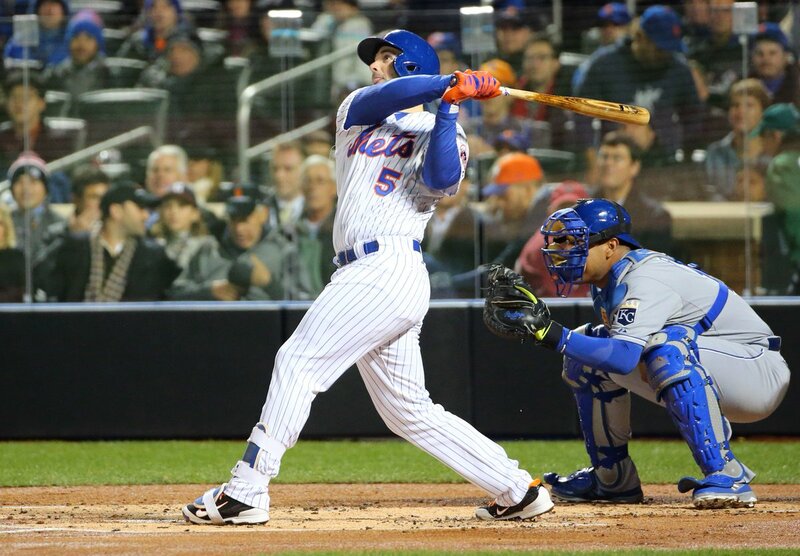 David Wright was the key to this game as he finally broke out of his slump with 4 RBI's. Ventura continued with his inconsistency and took the L and Syndegard pitched well enough in 6 innings to get the win.